One of the saddest parts about cloth diapering is when my favorite diapers (bumGenius Elemental Organic One-Size Cloth Diapers) and wet bags start to fall apart. Now it has been over three years of everyday use so it is not that I am complaining about the durability. In fact, just the opposite. These diapers and wet bags have been there with me as I started cloth diapering with my son and continued with my daughter! They have seen many poop explosions, soakings, many, many washings and many hours of bleaching from the sun! But there are tiny tears starting to appear on both my diapers and wet bags and it almost as if a part of my baby's first years are disappearing along with them! However, the good news is that I got a great excuse to try some NEW diapers and re-stock my cloth diaper stock with some fun new designs and patterns! So where do I go when I need new diapers? I head to one of my favorite online natural baby stores: Thanksmama.com. They helped me get started with my cloth diapering journey when I first started with my son and also my natural living journey! They also continued to help me cloth diaper my daughter too! 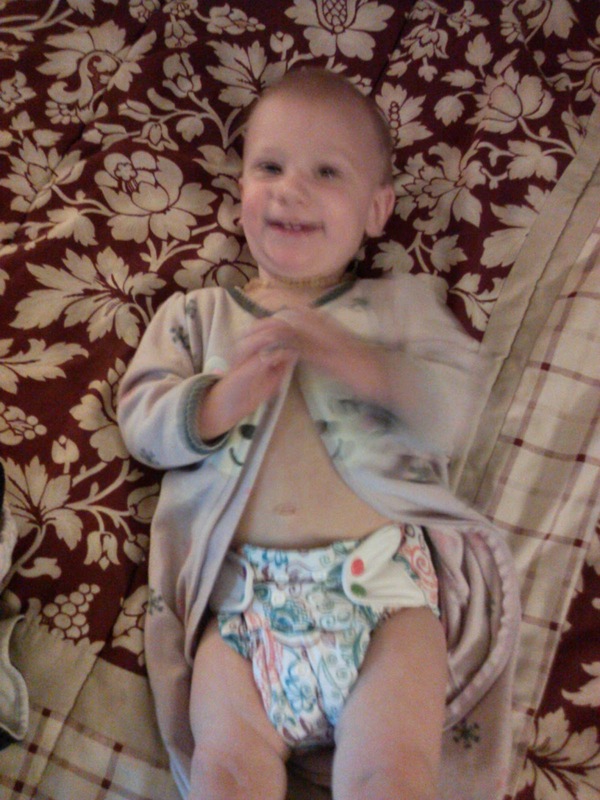 I love thanksmama.com because they have an AMAZING selection of cloth diapers and so many other natural products too! I can spend hours and hours browsing there great selection and when I need to re-stock on something, they have it! 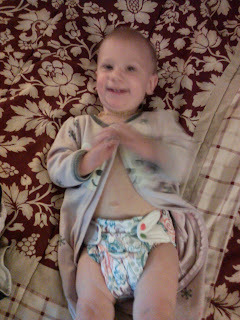 I love the new bumGenius Freetime All-in-One One-Size Cloth Diaper and Prorap Diaper Pail Liner I received from Thanksmama.com for review! So this time I decided to be brave and try a new diaper. 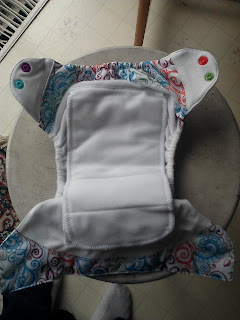 I usually like to stick with what I know and LOVE but I thought I would try something a little different so after browsing their awesome and vast selection of diapers, I settled on the bumGenius Freetime All-in-One One-Size Cloth Diaper. 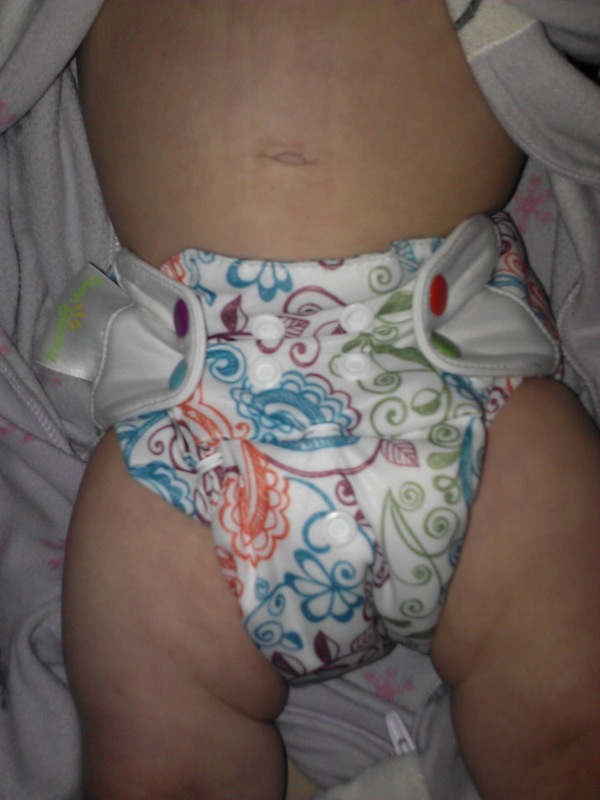 I love the bumGenius brand and I love All-in-One and One-size diapers so I had a great feeling about this one. The Freetime is different than the Elemental because it has two semi-attached stay dry inserts instead of two completely attached inserts like in the Elemental. I really liked this feature because it made the diaper dry A LOT faster which was one of the downfalls always of the Elemental. 3x3 front snap down design to adjust sizing. Designed to fit from 8-35 lbs. Stretchy tabs are trim, snug, and comfortable. Designed to provide a trim fit. 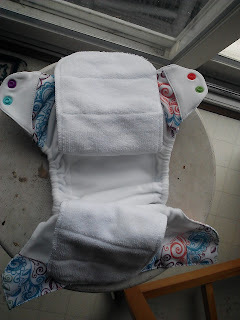 One step cloth diaper. No stuffing is involved. Two rows of snaps to give you a trim bumGenius fit. Gentle leg elastic to contain any messes. It is as easy to use as disposables and that is why I love them! Even my husband can use this diaper without freaking out or wondering how it goes on! :) It provides a great fit on my daughter, the material is super soft against my daughter's skin and the Lovelace design is so fun and colorful! The only thing I miss about the Elemental is the organic material! The other thing I needed to get was a new wet bag. After three years, my wet bags have giant wholes in them and it was time to get a fresh new one. This time, I was really looking for a BIG wet bag because our diaper stash has definitely grown over the years and I need room for traveling with them and storing them when dirty. 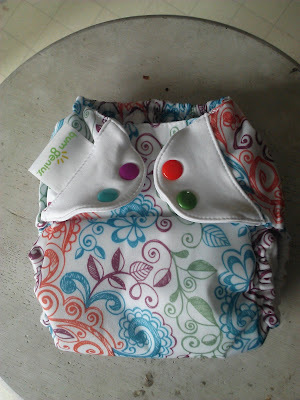 So after looking through thanksmama.com's great selection of wet bags, I settled on the Prorap Diaper Pail Liner. These diaper pail liners from Proraps are made from polyester knit with a waterproof urethane barrier which is the same material used to make Prorap Diaper Covers. Use the diaper pail liner inside your diaper pail to keep your diaper pail clean. The top of the diaper pail liner has stretchy elastic to fit snugly on your diaper pail. In addition, there is an elastic loop at the top that allows you to close the bag securely. This comes in handy on wash day. On wash take take the pail liner out of the diaper pail and use it to transport the cloth diapers to your washing machine. Wash the liner with your cloth diapers. This bag measures 27 inches and is offered in a variety of prints and colors. This pail liner is very large size and is perfect for our cloth diaper pail and also for traveling with our diapers. 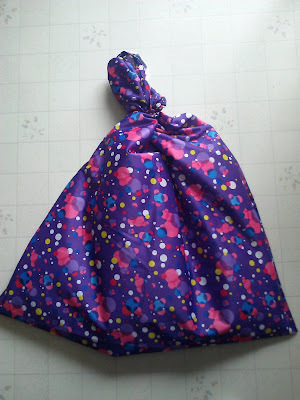 I can just throw all the clean diapers in this bag and put it in the car and away we go. 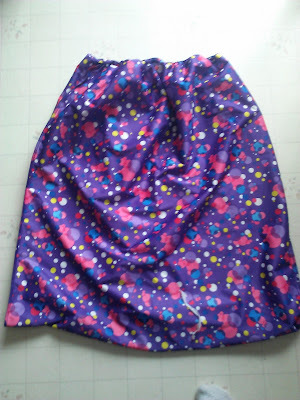 I love the fun bubble design and that I can just wash it along with the diapers! Plus, it is really easy to close! If you are looking to start your natural or cloth diapering journey or just want an excuse to stock up on some more diapers, head to Thanksmama.com and have fun looking through all of their great products! Buy It: You can purchase the Freetime Cloth Diaper for $19.95 each and the Prorap Diaper Pail Line for $17.99 from Thanksmama.com. Win It: Thanksmama.com is generously offering (1) $25 gift certificate to a lucky winner!